"Drummer Hamilton Bohannon (born March 7, 1942) was among the top bandleaders, percussionists, and producers in '70s disco/dance music. Bohannon grew up in Newnan, GA, and was drumming in a high school band while an elementary school student. After earning a music degree from Atlanta's Clark College, he was hired as a drummer by Stevie Wonder and moved to Detroit, where he was a bandleader and arranger for Motown tours until he joined Dakar/Brunswick in 1972. Bohannon perfected his formula of heavy, thudding bass accents and aggressive rhythms while recording for Dakar. He had several songs that were successful club records, but only mild R&B hits, among them "South African Man," "Foot Stompin' Music," "Disco Stomp," and "Bohannon's Beat." 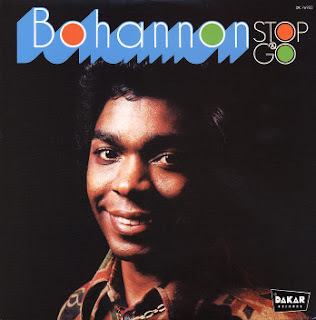 He moved to Mercury in the late '70s and scored a major hit with "Let's Start the Dance" in 1978, Bohannon's only Top Ten R&B release. The song featured vocalist Carolyn Crawford. He subsequently produced Crawford's solo release, "Coming on Strong," that same year and continued working with her into the '80s. Bohannon kept recording for Mercury, though barely getting light chart action in 1979 and 1980. He started Phase II Records in 1980 and recorded there until 1984. Bohannon introduced another vocalist, Liz Lands, on a remake of the Originals' "Baby, I'm for Real," which was included on the 1980 LP One Step Ahead. He signed with MCA in 1984 and recorded several albums. His 1989 release Here Comes Bohannon featured another fresh female voice, Alltrinna Grayson."